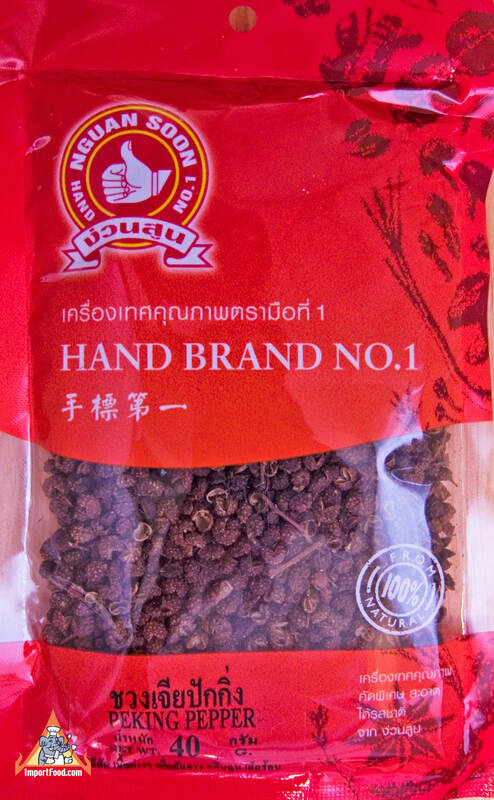 We recently received this special pepper from Hand Brand in Thailand. It looks similar to Szechuan Peppercorn but comes from the Peking area of China thus the name "Peking Pepper". The citrusy, flowery flavor is stronger than Szechuan, and you don't get the magical tingling sensation when you eat Peking Pepper. It's a rich flavor that goes well in any stir-fry. If you like to cook with exotic peppers, give this a try. Each package is 40 gram, about 1.5 oz. The peppers are lightweight, so 40 grams is several tablespoons full. Ingredients: 100% peppercorn, all natural.